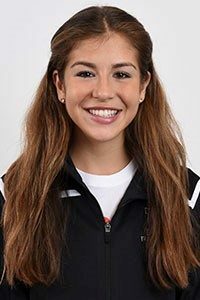 Granovsky ’20 is a junior on the varsity women’s cross country and track & field teams from Washington, D.C. Before coming to Princeton, she was a volunteer coach for Girls on the Run, a nonprofit organization that uses running to teach young girls to be joyful, healthy and confident. As a new member of the Student-Athlete Service Council, Rachel is excited to engage with the larger Princeton community to coordinate activities promoting physical literacy and activity. She is a Woodrow Wilson School major pursuing a certificate in Global Health, with aspirations to attend medical school.